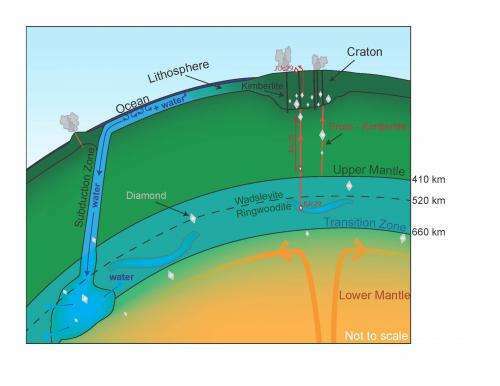 A reservoir with three times the water volume of all the oceans have been found far below the Earth's surface. 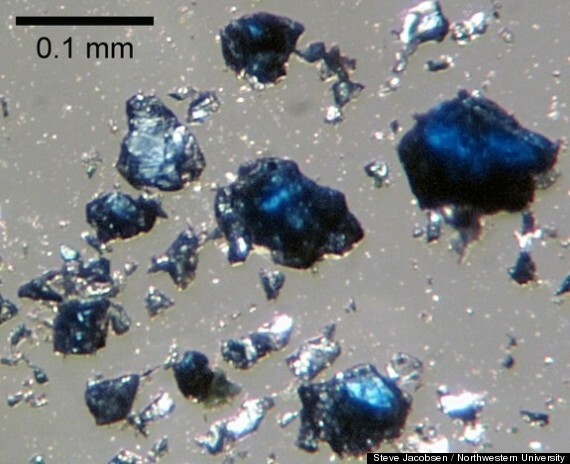 The discovery may help explain where sea earth came. 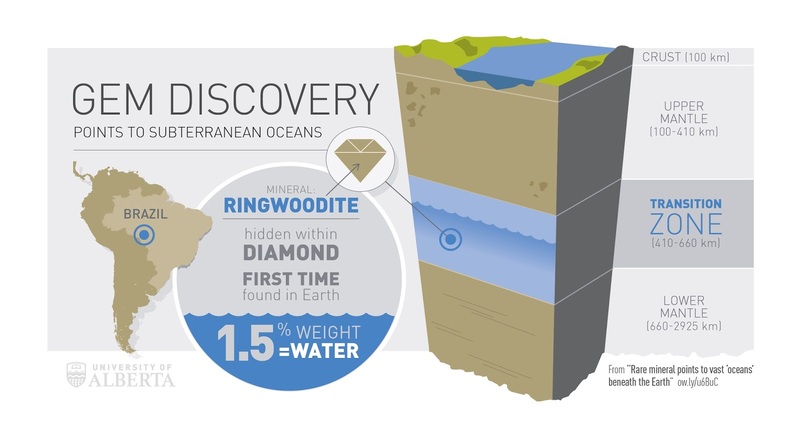 The water is hidden in the blue stone called ringwoodite located 700 kilometers underground in the mantle, the layer of hot rocks in the Earth's surface and the core. The large size of the reservoir throws new light on the origin of the Earth's water. Some geologists think the water came when a comet crashed into the planet, but this new discovery supports an alternative discourse that the ocean is gradually flow out of the interior of the Earth. "This is good evidence about where the Earth's water comes," said Steven Jacobsen of Northwestern University in Evanston, Illnois. Hidden water can also act as a buffer to the ocean surface, and explaining why they remain the same size for millions of years. By measuring the velocity of the waves at different depths, the team can identify where the rock type that has passed a wave. Water layers reveal themselves as the wave slows down, which makes the wave passes the wet stone longer than the dry stone. 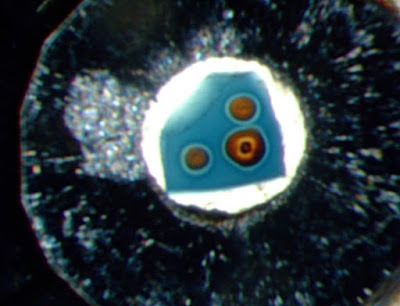 Jacobsen first examine what would happen on a wave if the water contains ringwoodite present. He fosters ringwoodite in his lab, and unload the sample through great pressure and suitable temperature at 700 kilometers below. Sure enough, they found signs of ringwoodite wet in the transition zone 700 kilometers down, which divides the upper and lower mantle region. In those depths, pressures and temperatures appropriate to squeeze water from the ringwoodite. "It is a stone with water along the boundaries between grains, almost like they were sweating," said Jacobsen. Jacobsen findings support the recent studies of Graham Pearson of the University of Alberta in Edmonton, Canada. Pearson studied diamonds from the transition zone which has been brought to the surface of the volcano, and found that it contains a water bearing ringwoodite, the first strong evidence that there is plenty of water in the transition zone.